TV Anytime is an iPhone and iPad app that lets you record streaming TV to your device for later viewing. The recording must be done on your computer, then synced over to your iPhone or iPad via Wi-Fi or USB. Once the content has been stored to your iPhone or iPad, you can watch it whenever you like without the need for an internet connection. Unfortunately, you need a Windows 7 PC with at least a dual core 1.5GHz processor to use TV Anytime - it is currently not available for Mac. TV Anytime records streaming TV and Movies for playback on your PC, iPhone or iPod touch. It automatically records and syncs the content that you request to your iPhone or iPod touch via Wifi or USB. TV Anytime is absolutely free to use for the top25 TV Shows and Movies; users who sign up before the end of 2011 will get a year of premium catalog access for free. 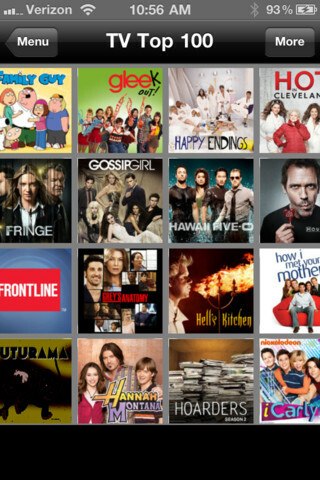 You can purchase access to the premium catalog of thousands of TV Shows and Movies in-app. TV Anytime Phone and TV Anytime Tablet are available on the iPhone and iPad for free.